BPH carries many filtration pumps to serve chemical plants, cosmetics plants, the oil industry, water treatment plants, metals plants and petroleum plants, among others. Filtration pumps are used to distill, desalinate, treat and process a variety of liquids. From waste water to chemicals, industrial pumps are needed for filtration in nearly every industry. There is a wide array of industrial pumps used for filtration processes. Centrifugal, magnetic drive, flexible impeller and diaphragm pumps are all used for filtration applications. Likewise, stainless steel and natural gas operated are two features commonly seen for pumps used for filtration. 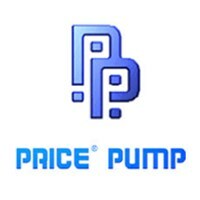 Browse our wide selection of pumps below to find the product for your application requirements.